Product #46332 | SKU SIRUI-18-WA-CPL | 0.0 (no ratings yet) Thanks for your rating! Improve your smartphone photography with the Sirui Wide-Angle Circular Polariser Filter. 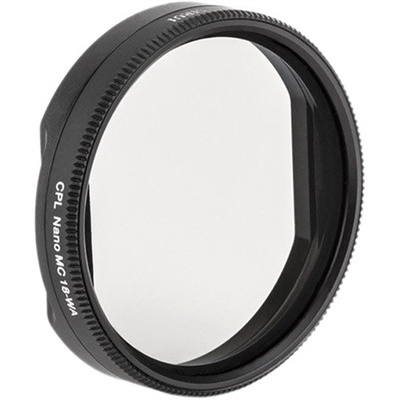 This filter fits over the Sirui Wide-Angle Mobile Lens and features multi-coated Schott B270 plate glass for nearly complete polarisation as well as an aluminium ring. It is designed to reduce reflections on non-metallic surfaces and enhance colour when shooting photos or videos.